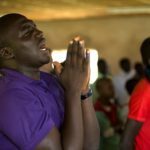 Clashes between Christians and Muslims in the northwest of the Central African Republic (CAR) have increased fears of a prolonged interfaith divide in the country. The CAR, which borders Chad, Sudan and the Congos, was one of the world’s most evangelised nations (at least on a superficial level), reports Operation World, the internationally recognised handbook of global missions. It says the CAR is 76% Christian and 14% Muslim. In March, Michel Djotodia ousted the then President in a coup, largely supported by a coalition of rebel groups, including Islamists, which had previously fought to gain power across the north where the Muslim minority is based. The country’s Evangelical Alliance has condemned this latest violence, which has so far claimed the lives of more than 100 people. On September 8 armed men, who claimed to be close to ex-President François Bozizé, launched attacks in the town of Bossangoa, 250 km from Bangui, the capital, killing Muslim civilians, according to government spokesman Guy-Simplice Kodégué. Séléka rebels dispatched troops in the area, carrying out violent acts against Christians, causing many casualties. 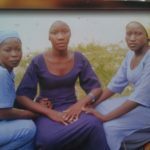 Witnesses contacted by World Watch Monitor reported summary executions, burned houses and looted churches. The violence spread to other nearby communities, such as Bouca, 100 kilometers from Bossangoa. There have been at least 100 deaths so far, while 50 have been injured, according to government figures. 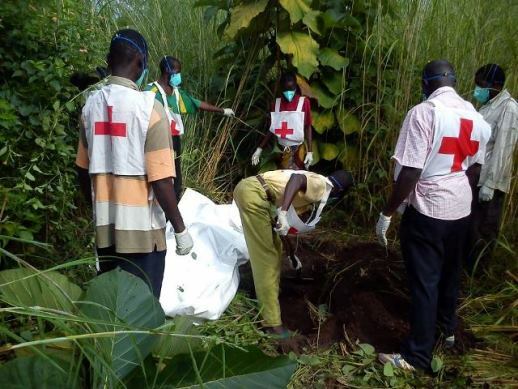 Two employees of the French NGO, the Agency for Technical Cooperation and Development, were killed outside of Bossangoa. Their killers are reported to be Séléka fighters. More than 4,500 people took refuge in the diocese of Bossangoa for fear of further violence. An undetermined number of others fled into the bush. Pastor Nicolas Guerékoyamé, President of the Alliance of Evangelical Churches in CAR (who was last month arrested for speaking out) condemned the latest violence, which, he says, is leading the country towards sectarian conflict. “We appeal to all communities of the Central African Republic not to yield to the temptation of interfaith divide,” he told World Watch Monitor. A week after the violence, tension remains high in the northwest of the country. 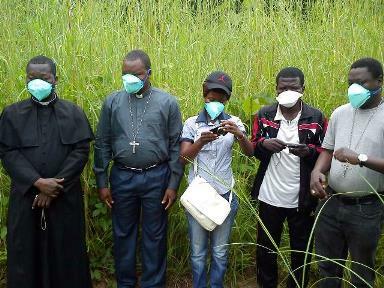 The Archbishop of Bangui, Mgr Dieudonné Nzapalainga, visited the area to comfort the victims and assess their needs. Similar initiatives have also been carried out by senior Muslim leaders. Christian and Muslim religious leaders are acting within a platform set up in June to prevent interfaith conflict in the country. President Michel Djotodia announced on Friday (September 13) the dissolution of Séléka, the rebel coalition which brought him to power in March. “All those who will continue to avail themselves of these entities will be treated as bandits,” he told local media. The dissolution of Séléka came three days after the dismissal of the army’s Chief of Staff, and Djotodia announced the official state forces were now in charge of security. But no detail was provided as to how these forces would neutralise the thousands of Séléka fighters across the country. 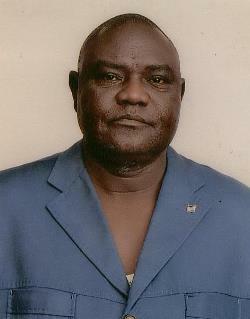 In the past, President Djotodia announced the introduction of measures aimed at curbing Séléka’s acts of violence, but without tangible results. Instead, the rebels rose in number from 5,000 to 25,000 fighters within six months. Séléka were repeatedly accused of atrocities against civilians. According to local media reports, the offensive that targeted Bossangoa was carried out by villagers exasperated by this violence, who took up arms with the help of former members of the armed forces loyal to deposed President Francois Bozizé. The President of the Evangelical Alliance appealed to the international community to intervene to end this “tragedy”. He has recently been in Rome, and will be at the General Assembly of the United Nations, which began on September 17 in New York, where the situation in the CAR is due for discussion. To coincide with the UN debate, Human Rights Watch has today (September 18th) published its report of what it calls “horrific abuses” by the country’s new rulers between March and June this year. The 79-page report, ‘I Can Still Smell the Dead’: The Forgotten Human Rights Crisis in the Central African Republic, details the deliberate killing of civilians – including women, children, and the elderly and confirms the deliberate destruction of more than 1,000 homes, both in the capital, Bangui, and in the provinces.